1 A man takes a photograph of parked taxis blocking the main Castellana avenue in Madrid. 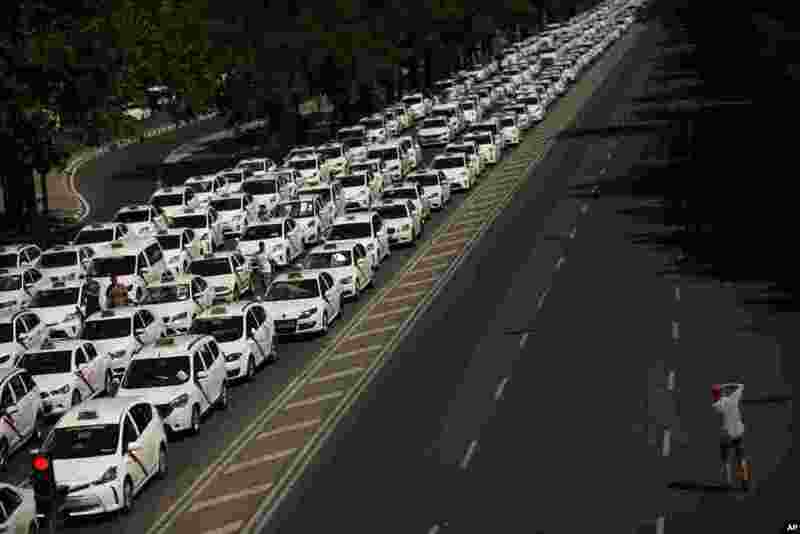 Representatives of taxi driver unions and Spain's government are meeting to find a way out of an indefinite strike protesting the proliferation of private ride-hailing services. 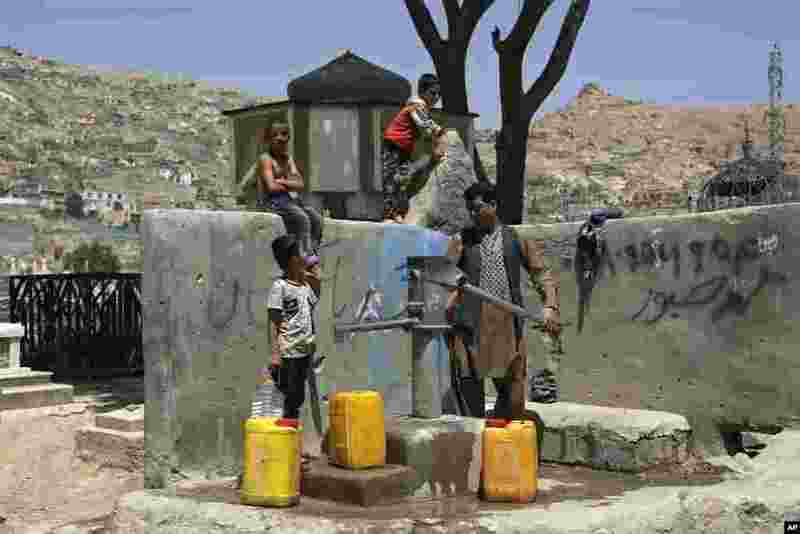 2 A man and his children collect water from a public water pump in Kabul, Afghanistan. 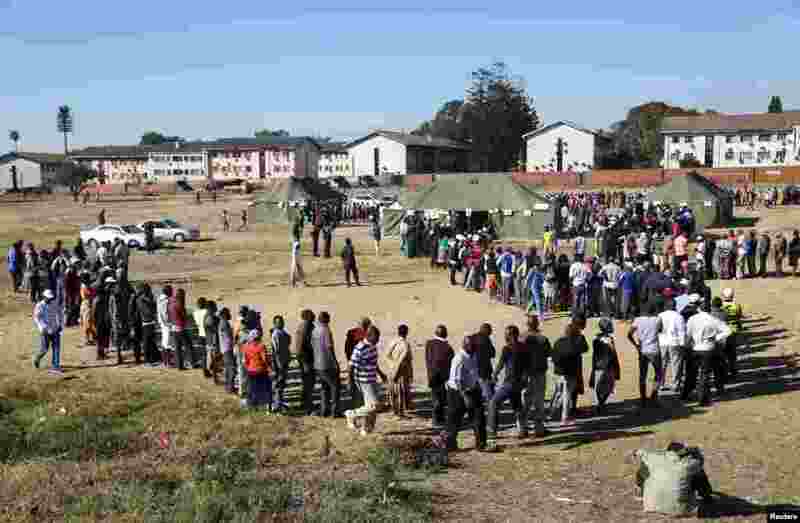 3 Voters queue to cast their ballots in the general elections in Harare, Zimbabwe. 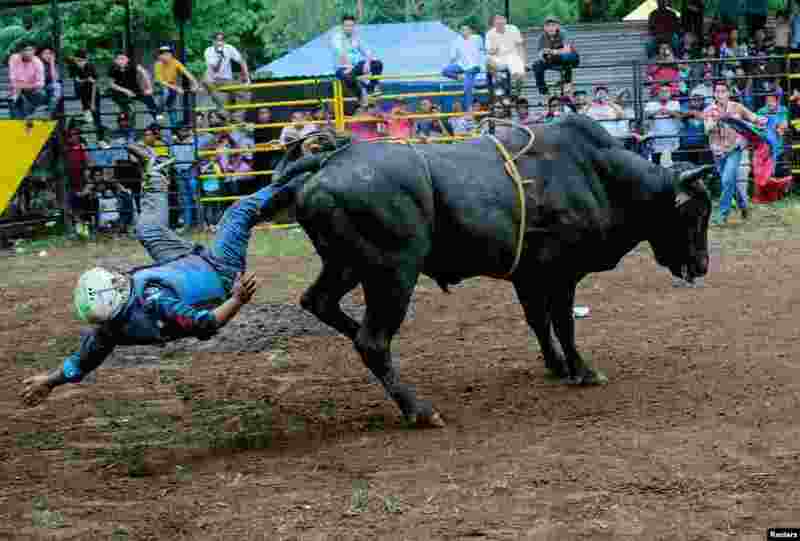 4 A bullfighter goes flying off the bull during a bull riding event in honour of the capital's patron saint Santo Domingo de Guzman, in Managua, Nicaragua, July 29, 2018.